Making a career in building and construction is not just about dealing with bricks and making blueprints. A lot more planning and thinking go behind the scenes as there are strict codes and standards to follow along with taking care of strict codes and standards. Builders and contractors need to follow different steps involved in planning and management. It is necessary for them to have the right qualification, skills as well as experience to work in this field. Why enrols for a course in building and construction? With a huge demand for skilled builders and contractors, it is no surprise to see a rise in the number of courses in building and construction. The right course will help you gain the required skills and requirements. One learns how to prepare and evaluate tender documents. They are able to create thermally efficient structures that meet sustainability requirements. They get confident about identifying and producing estimate costs as well as manage workflow and staff. Where can you work after finishing the course? There is no dearth of opportunities once you are a trained builder and contractor. There are thousands of new building projects where one can enjoy a variety of career opportunities. 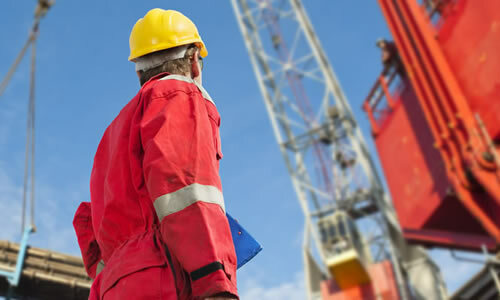 One can get a chance to work for large and small construction firms. They can run their own business or look for other career opportunities in the construction industry. Depending on the course you apply for, or what you want to study, there are endless opportunities for building & construction field. You could work as a Builder, Building Surveyor, Construction Manager, Site Supervisor, Wall or Floor Tilers, Project Manager, Building or Plumbing Labourer. The courses include Carpentry, Surveying, Plastering & Tiling, Plumbing, Bricklaying & Stonemasonry, Building and more. Take a look at those courses available and apply now. As a builder and contractor, one can receive the minimum average salary is $92,000 in Australia construction industry that employs over a million workers and shows a rising demand. The industry is growing, and there is an ever increasing demand for skilled professionals in this field. Enrol for the online building and construction courses that allow you the flexibility and convenience of studying at your own pace. Learn at your own pace and finish the diploma as per your convenience and qualify with an internationally recognized diploma. Look for the right course and opt for suitable payment options before enrolling.